An indirect replacement of the i8, the hybrid machine would be the crown jewel of the M Performance lineup. BMW may have a slew of high-performance machines carrying the fabled “M” badge, but what its portfolio lacks is a proper supercar. Give the Bavarians some time and they’ll likely address this issue by introducing a new flagship M Performance model to sit above the upcoming M8 Coupe. Autocar has it on good authority a “new super-sports car” is being developed to serve as an indirect replacement for today’s i8. 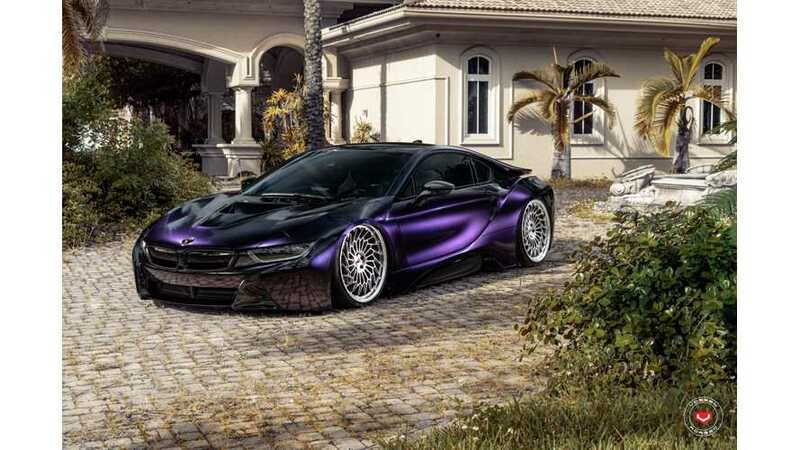 The report goes on to mention the conventional engine along with the electric motors will provide a combined output of more than 700 horsepower in a car estimated to cost in excess of the $147,500 BMW is asking for a base i8 Coupe. It is believed the crown jewel of the M Performance lineup will be built in limited numbers and will go after the Acura NSX, which starts at $157,500 in the U.S.
Don’t expect to see the new BMW supercar in the nearby future as the model is allegedly slated to hit the market by 2023. Meanwhile, the M lineup is about to grow to include the first-ever X3 M and X4 M, along with the M8 Coupe, Convertible, and Gran Coupe. Further down the line, there also might be an M2 CS to serve as a last hurrah for the current-generation 2 Series.